How real do we keep it at Anchor? Well, if you want to work here, you have to start out in our “Bottle Shop” — the Anchor bottling line. It doesn’t matter who you are or what you’re here to do. As an Anchor employee the first and most important thing to learn is that the bottling line must keep running. 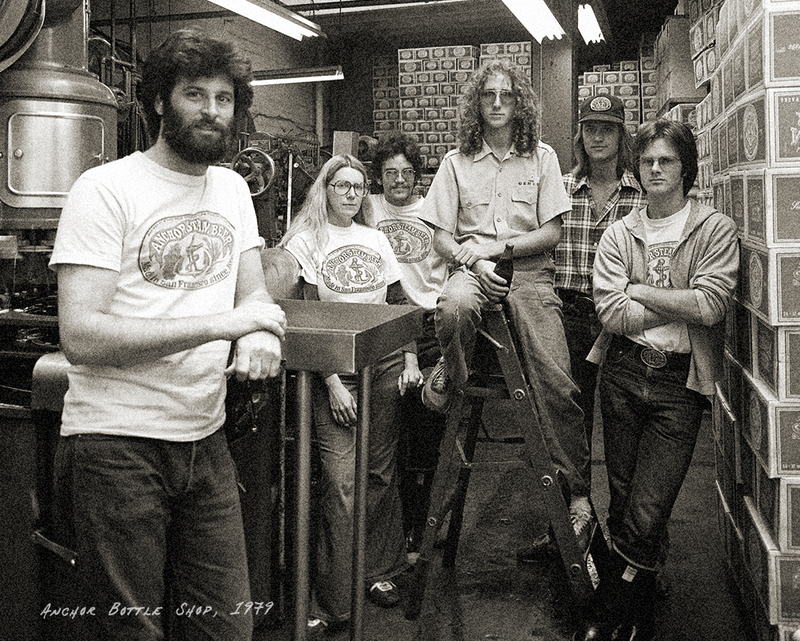 Anchor’s first bottling was April 23, 1971. We bottled 200 cases that day. Today we bottle 6,700 cases daily. This photo was taken in 1979 and features Mark Carpenter and Mike Lee, both of whom worked their way up from the Bottle Shop and are still Anchor employees to this day.